Vitamin B12 is a member of vitamin B family. This nutrient is also known as cobalamin, and it is a water-soluble vitamin. Water-soluble vitamins are not stored in the body and they must be replaced every day. These vitamins are easily washed out even during the food storage and preparation. As water-soluble vitamins dissolve in the water, they are excreted in the process of urination. Humans need a constant supply of water-soluble vitamins in the diet, to maintain normal bodily functions. Vitamin B12 is of eight B vitamins and it is normally involved in the metabolism of every cell in the body. This vitamin is especially important for DNA synthesis and regulation, and fatty acid synthesis and energy production. Vitamin B12 is also involved in the production of red blood cells. Without this vitamin synthesis of DNA is defective and the red blood cells are oversized and poorly shaped, and begin to function ineffectively. Another major function of vitamin B12 is manifested in the development of nerve cells. Supplementation of vitamin B12 has been shown to be efficient in alleviating pain and other symptoms in a variety of nervous system disorders. The recommended daily dosage of vitamin B12 depends on an individual’s age and health status. Children need much smaller amounts of this nutrient than adults do. 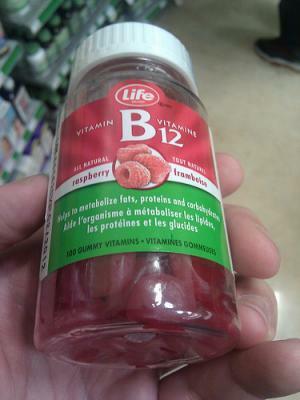 Pregnant and lactating women are at the highest demand for vitamin B12. Numerous scientific studies have been conducted in order to determine possible toxicity symptoms for vitamin B12. However, no toxicity levels have ever been reported for this vitamin. Even long term studies in which subjects have taken 1,000 micrograms of vitamin B12 daily, for five or more years, have revealed no toxicity. Moreover, there is no established tolerable upper level for this vitamin. Possible side effects associated with vitamin B12 have nothing to do with the quantity digested. Allergic reactions or complications associated with interaction with other drugs are also common with normal recommended doses as with overdoses. In the case of overdose, toxic effects may most probably occur due to the inactive ingredients in vitamin B12 vitamin supplements. What are benefits of vitamin c therapy?